“During my childhood, these islets used to be way bigger than they are now,” recalls Thangaraj, an octogenarian fisherman living in Chidambaram, a coastal district in the southern Indian state of Tamil Nadu. 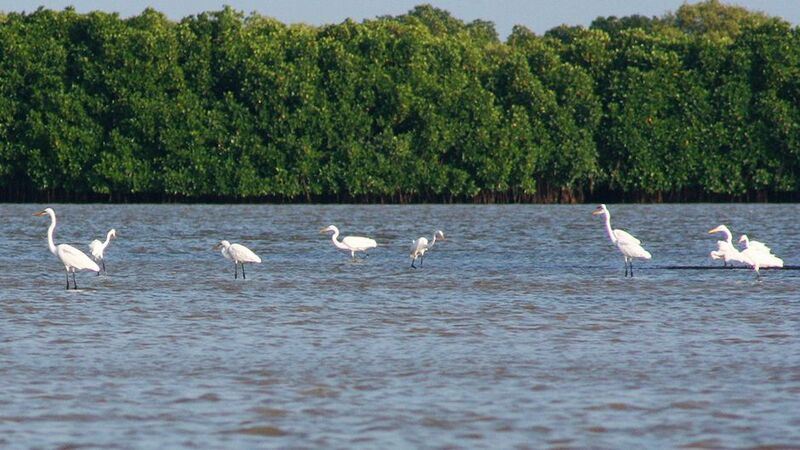 The islets are part of the Pichavaram-Coleroon estuary complex, which houses the Pichavaram Mangroves – the second largest mangrove forest in the world, consisting of 51 islets interspersing a vast expanse of water covered with green trees. These islets have been shrinking over the years, according to local fisher folk, as the sea continues to slowly but steadily invade the land. “Close to 300 metres of this islet has gone under water over the years. We have been traditionally using these islets to dry our fishing nets. The government had also built benches and observation towers for tourists but now the sea has almost reached them,” says Thangaraj. 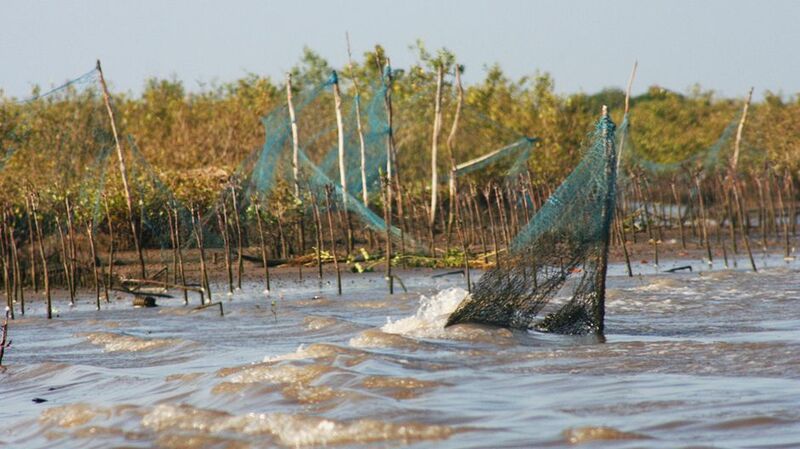 The Pichavaram mangroves support a rich ecosystem consisting of many rare varieties of fish and shellfish. Surveys have also recorded 177 bird species so far. Experts continue to debate what is happening, attributing the shrinking of the islets to a rise in sea water entering the estuary. Botanists fear this could threaten the entire Pichavaram ecosystem. Cranes. Photo by Nagarjun Kandukuru. A study by the Centre for Development Finance highlights the financial implications of a potential rise in sea levels on existing and proposed infrastructure along the Tamil Nadu coast. It estimates that structures, wetlands and real estate, worth US$66.3 billion to $1.3 trillion, could be at risk from a sea level rise of one metre by 2050. “A one metre rise would permanently inundate about 1,091 square kilometres along the Tamil Nadu coast, but the total area at risk would be nearly six times as much,” says Sujatha Byravan, the lead author of the report. While that figure is just an estimate for Tamil Nadu, a study by experts from the Indian Government’s National Institute of Oceanography says the impact of rising sea levels could be higher in cities on India’s western coast, such as Mumbai and Cochin. Estimates of a rise along the entire coast of India were made by analysing past tide gauge data. Among the stations considered, Mumbai, Vishakhapatnam and Kochi showed a sea level rise of slightly less than 1 mm/year. “Given these risk factors, it is imperative that coastal planning should use principles of sustainable development and be consistent with regulations,” says Rajesh Rangarajan, senior researcher with the Centre for Development Finance. But where is the regulation? Despite such significant data, India’s national climate action policy doesn’t touch on coastal areas. In 2009 India framed its National Action Plan on Climate Change (NAPCC) before going to the UN climate negotiations at Copenhagen. The action plan spells out a series of both mitigation and adaptation activities to be undertaken in a bid to address the climate challenge. However, the plan does not mention one word about the impact of climate change on India’s coast. “This is primarily because the policy has been framed in a top-down approach with scant attention to the coasts,” says Dr. A. Ramachandran, Director of the Centre for Climate Change and Adaptation Research in Chennai. 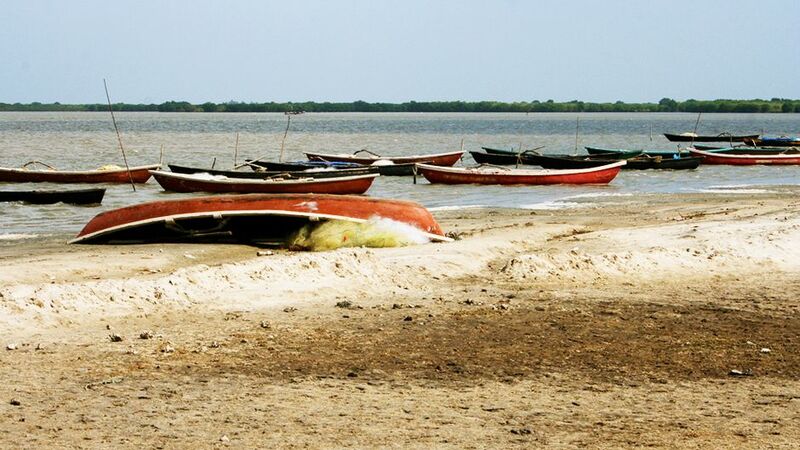 In a bid to address this lacuna, the Government of Tamil Nadu is drawing up a separate state action plan on climate change with sustainable coastal management as its top priority. “While the NAPCC’s focus is primarily on the northern part of the country, we are framing a separate set of policy guidelines to address the problem. But this can only succeed if other coastal states also follow suit and frame similar policies. But implementing that is not within the ambit of our state Government,” says Ramachandran. His centre has been working with the Government of Tamil Nadu to bring out a state policy. Fishing nets. Photo by Nagarjun Kandukuru. Meanwhile, the Indian government has drawn up its so-called Coastal Zone Regulation (CRZ) – but it barely considers the issue of climate change and rising sea levels. “The CRZ has been framed with the idea of regulating commercial activities along the coast. This has primarily been done to conserve threatened species and regulate development. There is no climate change perspective to this regulation,” says S. Vasudevan, a legal expert based in Chennai. Despite warnings from the Centre for Development Finance of the huge potential risk to infrastructure as a result of any sea level rise, the Indian Government has relaxed its CRZ guidelines, which are meant to control the development of coastlines, and freed up more space for commercial activity along the coasts. In the city of Chennai alone, this paved the way for the construction of three elevated expressways, one right on the beach and another running along a significant part of the coast. The unbridled development of coastal infrastructure has been accelerating the phenomenon of coastal erosion across the state, worsening the lives and livelihoods of many people. According to a study carried out by the Siemenpuu Foundation of Finland, in nine coastal districts of Tamil Nadu, the pace of erosion has been found to be so great that within a decade parts of some coastal villages and 21 coral-rich islands in the Gulf of Mannar will be lost to the sea. Jesunathan, a fisherman from Thoothukudi city in Tamil Nadu, built his house at a safe distance from the beach. Today waves wash into his backyard, as the coast has been eroding phenomenally since the construction of the Thoothukudi port. “The sea is not as it used to be during my grandfather’s times. We are seeing a change, which is not for the good. But we don’t know what we can do about it. The only way out is to educate my children and prevent them from entering this profession,” says Jesunathan. This is a story from Panos London, an organisation that seeks to foster sustainable and equitable development by ensuring that the perspectives of the people most affected by development are included within decision-making. Shrinking Indian Islets Spell Sea Change by Gokul Chandrasekar is licensed under a Creative Commons Attribution-NonCommercial-ShareAlike 3.0 Unported License. Gokul Chandrasekar is based in Chennai, South India, where he covers environment, health and policy for The New Indian Express. He has worked in print, online, television and radio and has covered various aspects of environment ranging from policy to human rights, green business to environmental justice. He was a Climate Change Media Partnership (CCMP) fellow for 2010. The article is very interesting, though a clear distinction must be made between the coastal erosion caused by climate change and that caused by other human activities (such as the construction of ports). In fact, this second reason is the consequence of virtually all coastal erosion world-wide to date, and its causes and effects are well documented. While there is no denying than in the future sea level rise will also contribute to this, my feeling as a coastal engineer is that most of the problems that this article mentions are related to the development of coastal infrastructure (ports, highways, etc) which interfere with sediment transport processes. It is likely that other areas along the coastline are suffering high levels of sediment accumulation, though this problem is often under-reported in media.